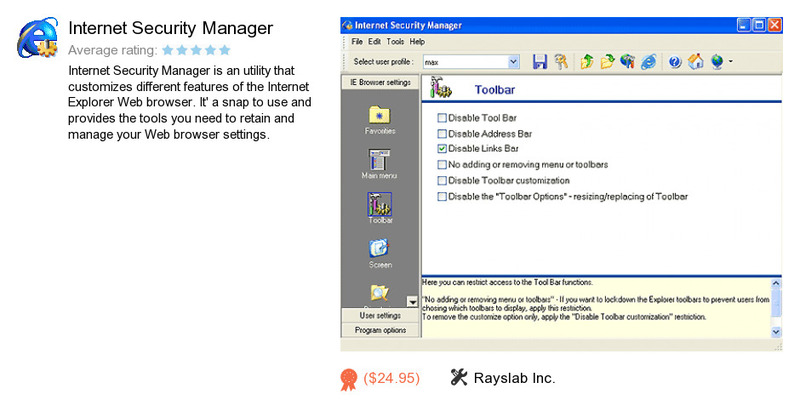 Internet Security Manager is a software program developed by Rayslab Inc.. We know of version 2.3. Version 2.3.3.3 is available for free download at our site. Internet Security Manager package has a size of 975,426 bytes. Rayslab Inc. also publishes SyncTime Deluxe and Security Department.